The change of seasons always brings about a renewed sense of tablescape design and décor. Fall is a wonderful time of year full of colors and seasonal inspiration that can easily be incorporated into your event décor and tablescapes. One of the hottest trends right now is bringing the high styled look often seen in home décor into the décor scheme at weddings and events. 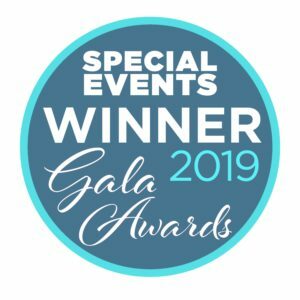 Detailed, beautiful and elaborate tablescapes similar to what you would want to have in your home which can be translated into creating a warm and inviting feel at your event. The details of the Fall tablescape is handled the same way as styling your home. Your event doesn’t have to include your typical banquet tables which featured the same old, routine floral centerpieces and place settings. Get creative! Visualize what you like at home, what feels warm and inviting this time of year and bring it to life at your next event. It’s important to note that styling your Fall tablescape can be done with the help of a wedding planner OR accomplished by the DIY bride too! In fact, many of your local retail stores where you shop for things you use at home can be used to style your Fall tablescape. Target has an amazing selection of Fall décor available throughout their store, including the dollar section. There are several options available at Target for creating a cost-effective yet stunning Fall theme throughout your event. Browse through what they have and piece things together! Pottery Barn often features amazing ideas and inspiration for seasonal décor, especially the fall season! 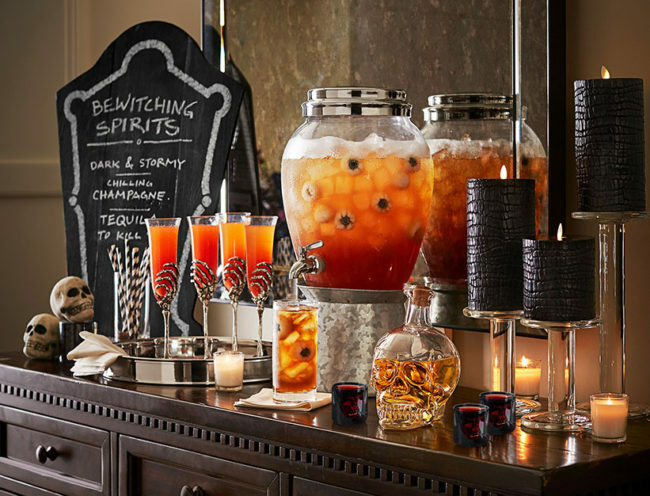 Look to Pottery Barn for candles, candle holders, season items and beautiful glassware. 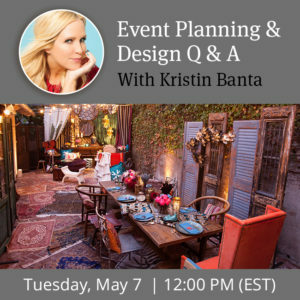 Their website often features décor setup ideas which can further assist you in generating your own ideas and creating the Fall tablescape of your dreams. 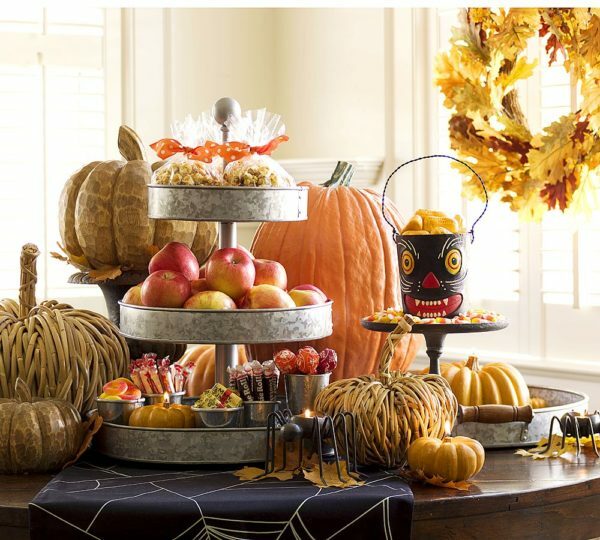 Seasonal sweets and treats should also be considered when styling your Fall tablescape. The food can be simple and easy – apples, caramel corn and Halloween treats are always a hit. Seasonal drinks such as apple cider and signature drinks add a unique vibe to your event. 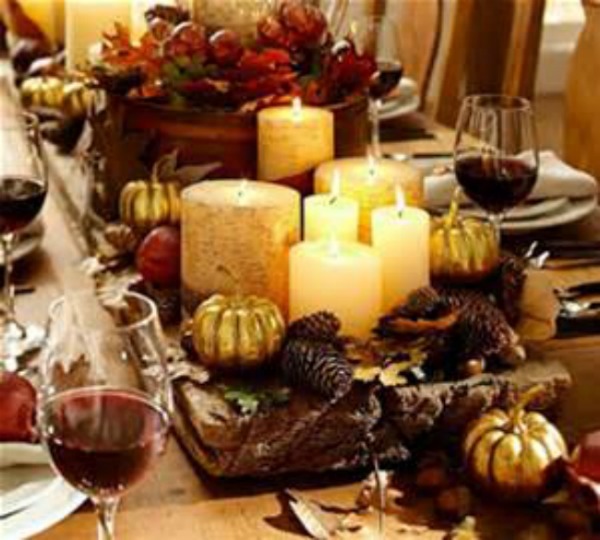 Food can also be used as the focal point of your Fall tablescape. Rather than flowers, focus on the colors and foods of the season! 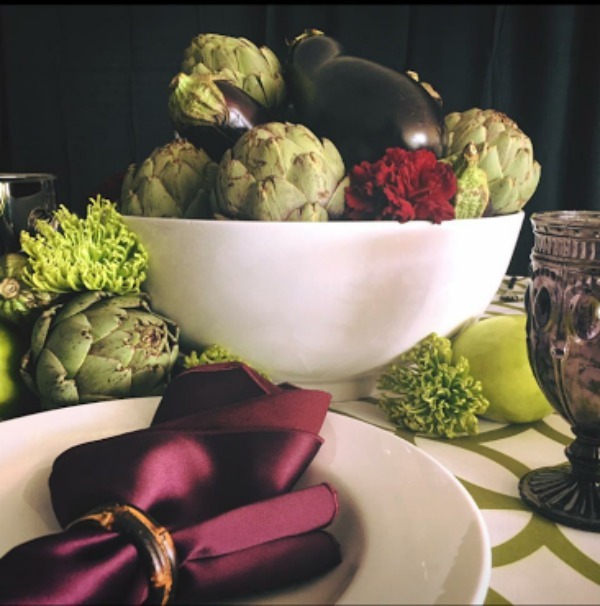 The below Fall tablescape, arranged by Atlas Party Rental, features seasonal colors and produce. Shades and green, maroon and eggplant are always nice, warm and welcoming throughout the cooler months of the year. 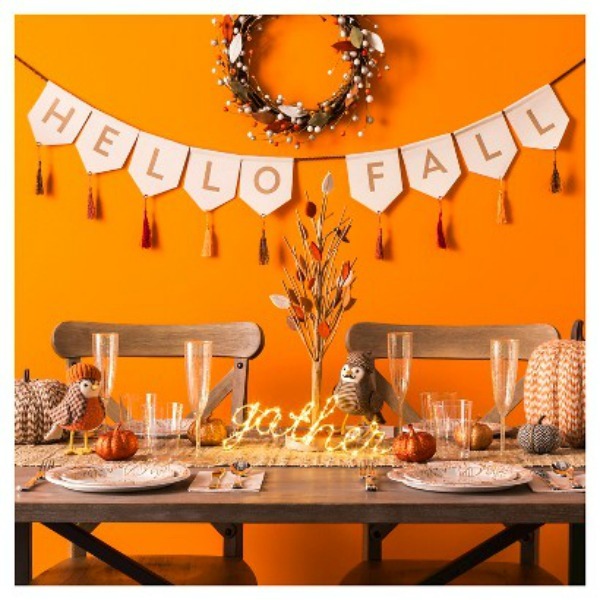 We would love to see your Fall décor and tablescapes! 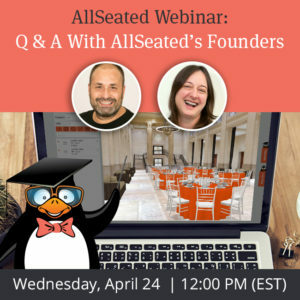 Tag #AllSeated when sharing your Fall inspired events or floorplans on social media. *All photos in this article contain links to their source..